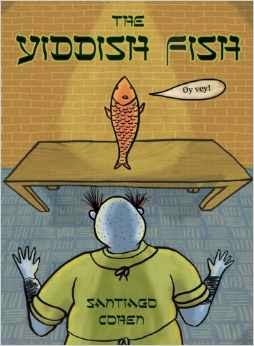 I just stumbled upon this great bit of information: Santiago Cohen, who did the cover and illustrations for my very first book, My Life Among the Aliens, as well as its sequel, Club Earth, has a picture book coming out this November, The Yiddish Fish. Terrific news. Bless S.C.'s heart, he still maintains my book covers at his website.